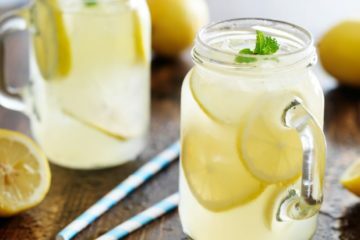 Would you love to lose weight while scrolling through Instagram in the comfort of your own home? What about improving your endurance while binge-watching your favorite TV show? You can get fit on your own, at home, and without a gym membership via an at-home treadmill. Treadmills have come a long way over the years, and nowadays treadmills offer more than just stationary running. There are so many brands and types of treadmills out there, but which is the right choice? 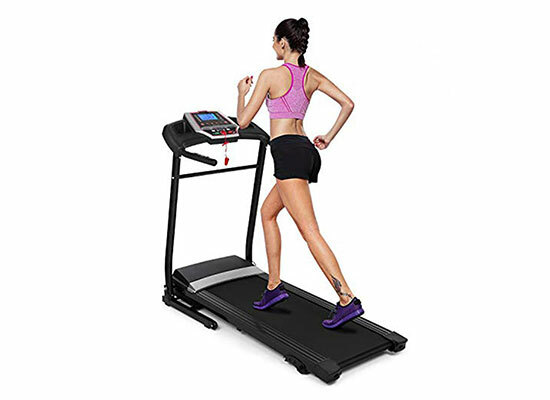 In this article, you will learn about the best treadmill brands, different treadmill features, how to prioritize your needs with an at-home treadmill, as well as how to pick a good-quality treadmill that will complement your home gym for years to come. 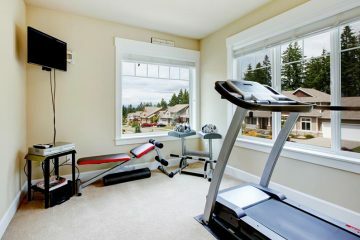 Why should I invest in a treadmill for my home? You may be wondering if investing in a treadmill is really worth it. There are thousands of YouTube workout videos that offer free cardio exercise online: Aerobics, Zumba, HIIT Training. You could just go to the gym and break a sweat on a variety of exercise equipment, right? Why would an at-home treadmill be a better option and what can an at-home treadmill do for you? Aside from the convenience of having a means to get a good workout in at your home, a good quality treadmill can accommodate a variety of exercise needs and will continue to challenge you as you get more fit. That’s the goal, right? Cardio on at-home treadmills is easier on the joints so it can push you to workout harder, workout longer, and lose weight quickly. Plus, once you buy a treadmill, no more monthly gym fees! You own the gym! Keep in mind, however, that with ownership comes more responsibility with maintenance and cleaning. Check out our “Tips” section below for more information about how to properly care for your treadmill. Understanding the benefits of an at-home treadmill is easy. The hard part: Choosing the best treadmill for you. Different treadmills offer different exercise benefits, different price points, and have different space requirements. As you shop for treadmills, think about your needs, your current fitness level, and your fitness goals for the future. You may feel comfortable investing in a treadmill from a long-standing fitness brand. 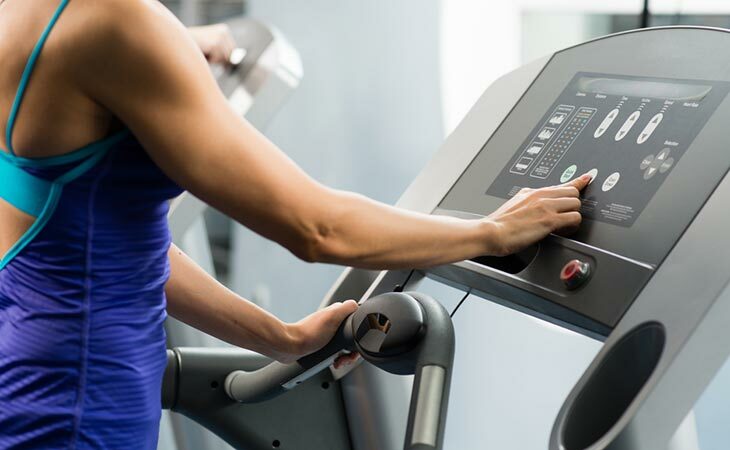 Buying the best commercial treadmills on the market can be a costly purchase, and purchasing from a company with good customer service and lifetime warranties may be important. 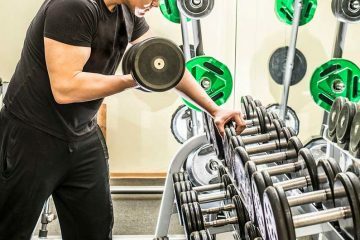 Well-known exercise equipment companies like Life Fitness, Precor, and Cybex are used in gyms all over the country and pride themselves on their experienced support team who specialize in their state-of-the-art products. 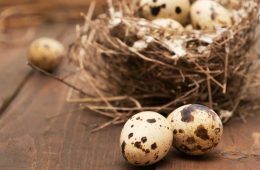 Other companies can offer comparable products and services for the at-home runner. Let’s take a look at the best selling treadmills for home. This treadmill has all the bells and whistles and would be optimal for avid runners, elite athletes, and those training to make serious gains in their workout. ProForm has been in the at-home exercise industry for over 30 years and partners with the Boston Athletic Association (principal sponsor of the Boston Marathon) and Le Tour de France. ProForm owns hundreds of patents, making their products and technology uniquely their own. 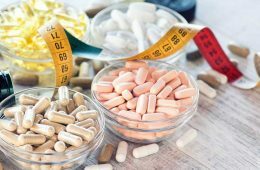 ProForm prides themselves on being a highly recognizable fitness brand that strives to help their customers find success in achieving their exercise goals. If you are an avid runner, sprinter, or elite athlete, this treadmill is a great option for you due to its high speed. This treadmill offers extensive entertainment and technology hook-ups to enhance your already intense workout. One thing to note: This treadmill weighs over 300 pounds and may not fit in all homes. Make sure you measure your entry door before you buy, because installers warn that it may not fit through everyone’s door. This treadmill is made for slow runners and walkers. It accommodates beginners, speed walkers, the elderly, and those with preexisting conditions such as aching joints from Crohn’s or rheumatoid arthritis. It has a sleek design and can fold away when not in use. Priced at less than $250, it is the best budget treadmill and is the best cheap treadmill in this list. Confidence Fitness specializes in exercise equipment that is low impact and safe for people who are trying to lose weight, increase flexibility, or increase confidence in movement and balance. Their products are available in-store or online at Walmart, eBay, and Sears. This treadmill is best suited for people who want low impact endurance exercises. Beginners, the elderly, those who need low impact workouts for compromised joints, and speed walkers would enjoy this treadmill for its slower speeds and simple, easy-to-use programming. One thing to remember: Max weight for this machine is 265 pounds. This basic treadmill may not be suitable for every person, but this is one of the few treadmills suitable for a very specific population. 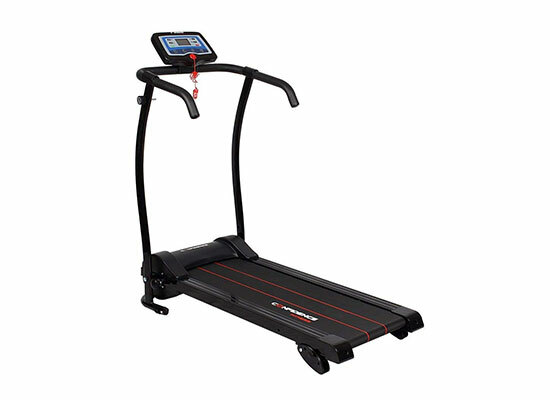 If walking is your speed, the Confidence Power Trac Treadmill by Confidence Fitness is the best treadmill for walking. This is a well-rounded treadmill to fit a variety of runners from athlete to average exerciser. The moderate price and exceptional automatic warranties appeal to customers. NordicTrack got its name from its original “skier” exercise equipment, which became successful via television ads into US households. Customers raved about NordicTrack’s smooth gliding, low impact products which motivated the company to patent their technology. NordicTrack has since expanded over 25 years to include a wide variety of low impact exercise machines that still challenge the exerciser. This is the best affordable treadmill for all the features it offers, making it the best treadmill for the money. It is a great investment for families of differing fitness levels and needs. A middle-aged mom, her high school football player son, and his elderly grandfather all would be able to use this equipment at home. 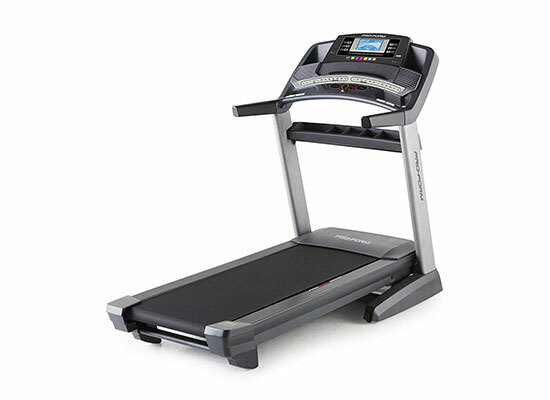 It is moderately priced and backed by NordicTrack’s unparalleled warranties. Consumers can have confidence in purchasing this high quality, versatile treadmill for their at-home family gym. Not only is this the most compact treadmill version by XTERRA Fitness, it is also the lightest and the least expensive of the line. Perhaps because this treadmill is reasonably priced and keeps runner safety in mind, it has made its way to the top. XTERRA Fitness is a fitness equipment brand whose products are sold in stores like Walmart, Overstock.com, and on their website. They have worked directly with professional athletes and outdoor activity fanatics to fine-tune their products to fit the needs of any activity level. They pride themselves in their lifetime warranty, safety, and exceptional customer service. If you are a beginner to exercise with room to grow in your home gym, this treadmill is a great option. You may need help with installation, however, since it is not the most compact treadmill out there. However, this treadmill offers a wide variety of programs and levels for a cheaper price point. This treadmill boasts low noise during use and easy folding mechanisms for quick storage, making it the best folding treadmill on the list. 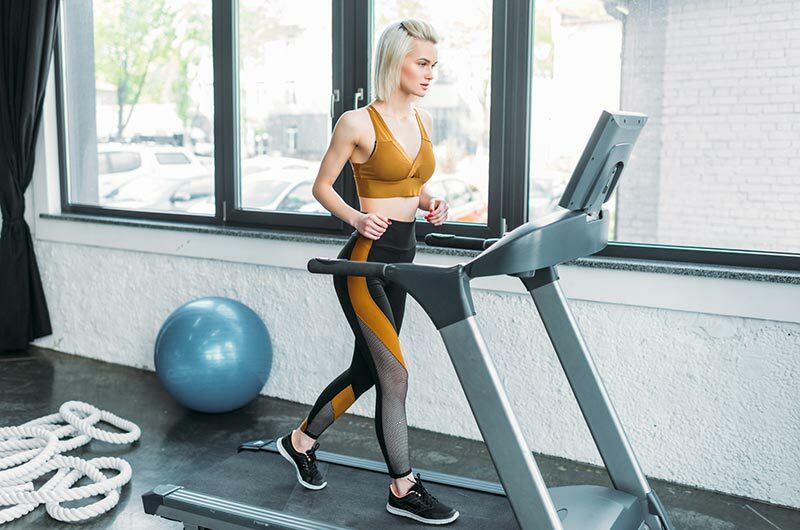 Aside from its space-saving capabilities, this treadmill also provides fitness settings for higher calorie burn, muscle toning, endurance training, and fat burning. Hurbo manufactures many home products from space saving full-body fitness equipment to exercise trampolines to bicycles. Hurbo products emphasize safety at any age via protective gear and safe assembly functions. 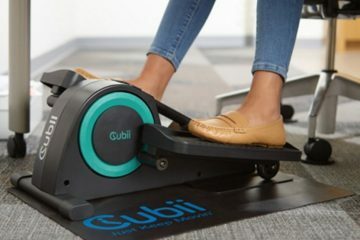 This foldable, compact treadmill by Hurbo would be exceptional for the at-home runner or walker who wants the benefits of a home gym with minimal space. 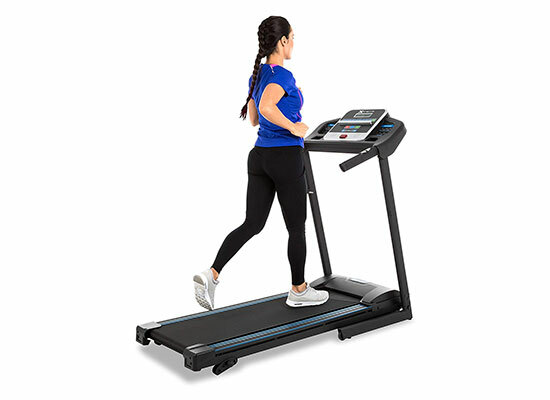 Those with small city apartments, condos, dorms, or mobile homes can feel confident in investing with the Hurbo foldable treadmill because it contains all the basic features of competing treadmills without all the weight and space requirements. 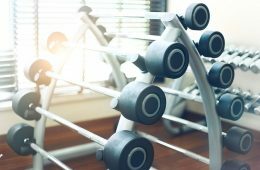 Your Budget: Budget is often the most important factor when choosing large exercise equipment for a home gym. Consumers want to balance cost and convenience to make investing in a treadmill worth it. As detailed in this article, most treadmills cost between $500-$1500, with others exceeding this range. However, as you have seen, more expensive treadmills do not necessarily mean better ratings from customers and better-selling products. The person who wants to get fit at home on a budget can find high-quality treadmills between $200-$500. 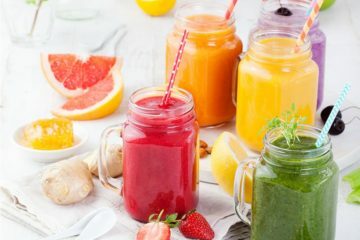 Your Fitness Goals: If running is your life and your passion, you may want to opt for treadmills that have all the bells and whistles to connect your phone and track your running progress. As we discussed, some treadmills offer innovative technology to improve the quality and enjoyment of running, whereas others are far more basic for those who want to run and be done! If you like to do low impact workouts and being an elite athlete is not your goal, there are plenty of treadmills to choose from. Remember to consult your doctor before starting any workout routine, including those on your home fitness equipment. Your doctor may be able to help you create fitness goals and prioritize your needs in an at-home treadmill. Space and At-Home Footprint: Keep in mind that treadmills can be huge and heavy! Don’t invest in a treadmill that is not suitable for your home, because that will lead to problems during delivery, installation, and everyday living. The best at-home treadmill for you should complement your home gym and your lifestyle. What Will Motivate You: Just like almost everything in life, another important key is to understand which treadmill will motivate you to actually start exercising and keep up with it in the future. If you feel you need a treadmill with a TV or music or detailed running stats, make sure you find a treadmill that offers these features. If you think getting a compact treadmill that you can store away when not in use will motivate you to workout more than running outside or running at a gym, that is important to consider. To avoid damage and injury to yourself, make sure that you set your treadmill in an open area with at least 2 feet clearance around all sides of the treadmill. 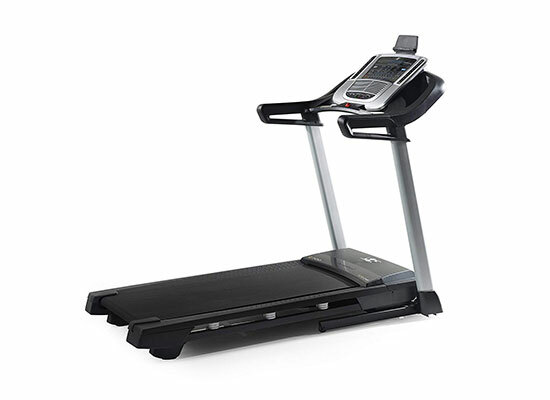 This will ensure your safety as well as prevent damage to furniture as you engage the moving parts of the treadmill. Make your own equipment cleaner by combining 1 cup white vinegar, ½ cup baking soda, and 2 cups hot water into a spray bottle. 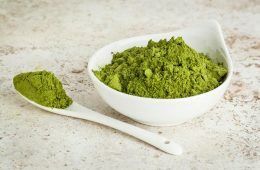 Spray this mixture onto the treadmill and wipe dry with a clean towel. One thing to keep in mind when cleaning your treadmill: Make sure to clean all areas of the treadmill but avoid letting liquid cleaning product seep into the crevasses of the treadmill. The internal electrical equipment in the treadmill can be damaged if wet, so do not over-do the spraying. It is best to use cleaning wipes or lightly spray the treadmill to avoid drips. 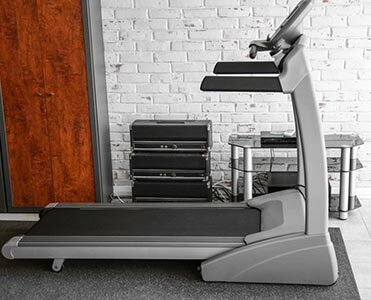 Companies may also offer cleaning and maintenance services for a fee or as part of their warranty, so understand the ongoing financial commitments for treadmill maintenance before you buy. Always consult the treadmill’s user manual or call the customer service line for questions regarding the maintenance of your machine. Doing so will ensure your treadmill will operate at its best for years to come. 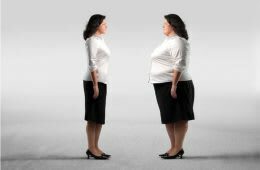 Everyone can benefit from an at-home treadmill to lose weight, increase cardiovascular endurance, and ultimately, become more fit. Once you find the perfect treadmill for you, you will find that a treadmill complements, enhances, and motivates you to reach your fitness goals. Now that you’ve read this article, the easy part is finding the right treadmill. The harder part: Evaluating your particular needs. Use the checklist above to help you. By following this checklist and choosing your perfect treadmill, you’ll lose the weight and be more fit in no time! What’s your most important factor in choosing a treadmill? Budget? Small footprint? Cool features? What motivates you to get on your treadmill? Let us know in the comments below. Most times I’m also wondering if investing in a treadmill is really worth it. I can always go to the gym and break a sweat on a variety of exercise equipment and may get to see some people who I can get motivation from. 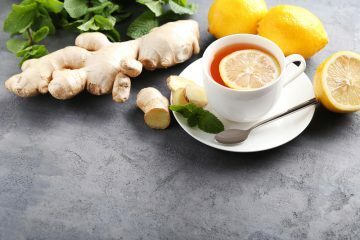 But the idea of having a means to get a good workout at home, no gym fees and not having to feel like I’m not doing much when I see people panting away on the treadmill is just enough for me to search for a good quality treadmill that can accommodate a variety of exercise needs and will continue to challenge me as I get more fit. I’ve been reading up on treadmills because I actually plan to buy one. I’ve been long wanting a personal treadmill at home and I had to do my research first hand before going to a physical store. I don’t feel comfortable buying heavy equipment online due to delivery problems and the handling. You’ve made a very good point regarding budget and footprint, the two would actually be my biggest concerns. 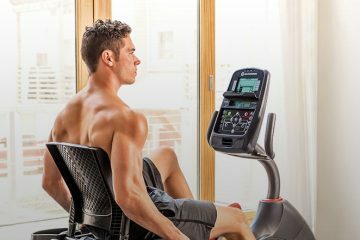 The C700 Treadmill looks good and in budget but I’m a bit curious about the folding ones, would you consider them to be more fragile than those at higher price points? I’m afraid if that’s a big issue I’d rather invest in something more durable. Thank you for sharing this information. This will help me make a choice and finally buy a similar equipment. My gym has a similar track to C700. Nordic has some of the best equipments in the business. Treadmills in general are my favorite machines to use on cardio day!